An Ancient Solar System...: The Universe in 101 words: Invisible galaxies? When is galaxy (almost) invisible? When it's mostly just a cloud of dark matter - the mysterious and almost undetectable stuff that experiments on the ISS may finally be closing in on. Dark matter galaxies do have some normal stars, pulled along by the cloud's gravity, but they're rarer than Grindr users in Russia. 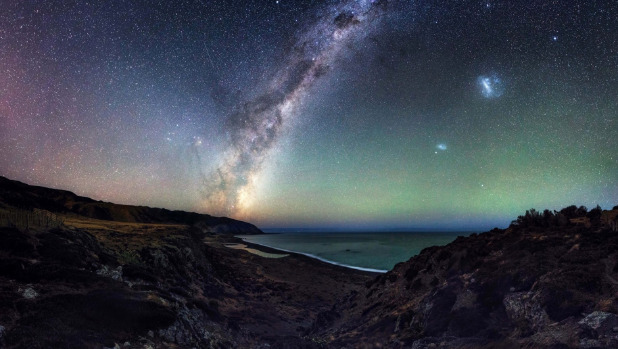 We need powerful telescopes to see them from Earth. So to human eyes, even from the inside, a dark matter galaxy is be too faint for human eyes to see - if you lived in one all you'd see was the dim, distant, glows of other galaxies. 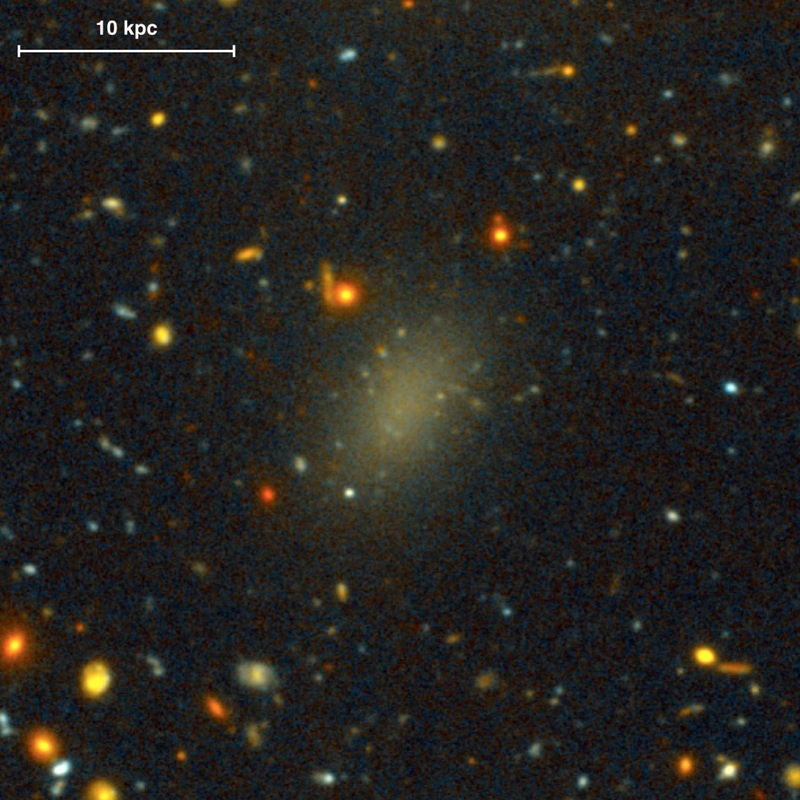 Above: Dragonfly 44 A dark matter galaxy as big as the Milky Way, but with so few actual stars only powerful telescopes can see it - and even then the images must be computer enhanced.